White or Ivory Sleeveless Flower Girl Dress with red flower and black sash. Flower pictured is Red. 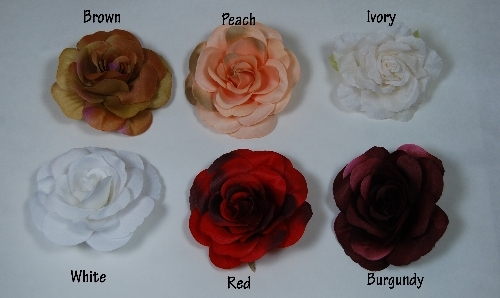 Click here to view the most current flower colors available. This size chart is to be used only as a guide. Design & fit of each individual style will effect the size needed to be ordered. Garments are NOT made to customer's measurements. Most manufacturers allow for a "production tolerance", meaning, that measurements can vary plus/minus 1"-2" from chart. It is rare that a formal gown fits any body perfectly, usually alterations need to be done by a professional seamstress for a smooth and tailored fit. Elegant Gowns is not responsible for the size selected nor the cost of alterations necessary to custom fit.